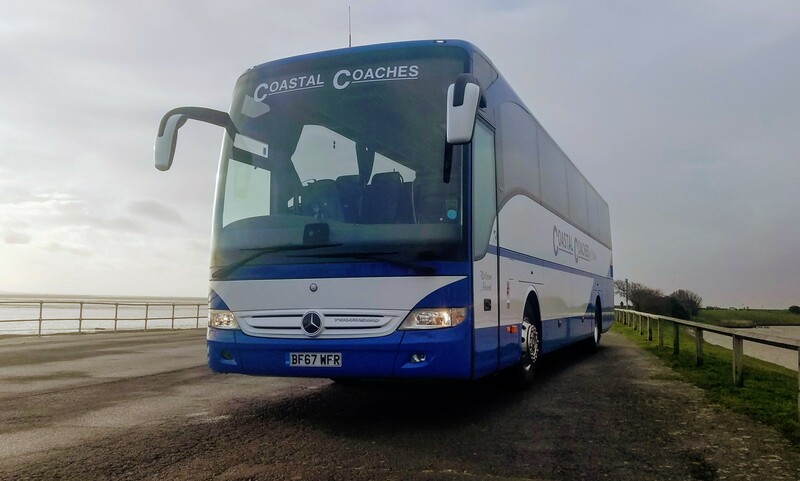 Coastal Coaches have taken delivery of 2 brand new coaches. We now have a brand new 53 seat Mercedes Tourismo with on board toilet and drink making facilities. As well as the 53 seater, We’ve also taken delivery of a brand new 34 Seat Voyager coach. 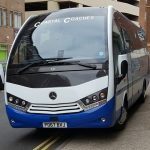 They are both of exceptional quality and will provide superior passenger comfort and safety, whether it be for small town to town drives, or long haul journeys. Both of the vehicles come equipped with Ice cold Air con, an Impressive passenger media system and incredibly comfortable reclining seats as standard. As well as an exceptional passenger cabins, the mechanics and engine have been updated to the latest euro 6 regulations. 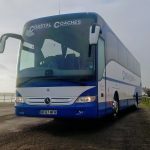 Built to the highest EU regulations, you can put your worries at rest knowing that you and your passengers will be traveling on one of the safest coaches on the roads today. Also noteworthy is the newly designed Euro 6 Engine, being one of cleanest engines available today, it performs more efficiently than other coaches on the road today so you can have peace of mind knowing that your carbon footprint is one of the smallest on the road. 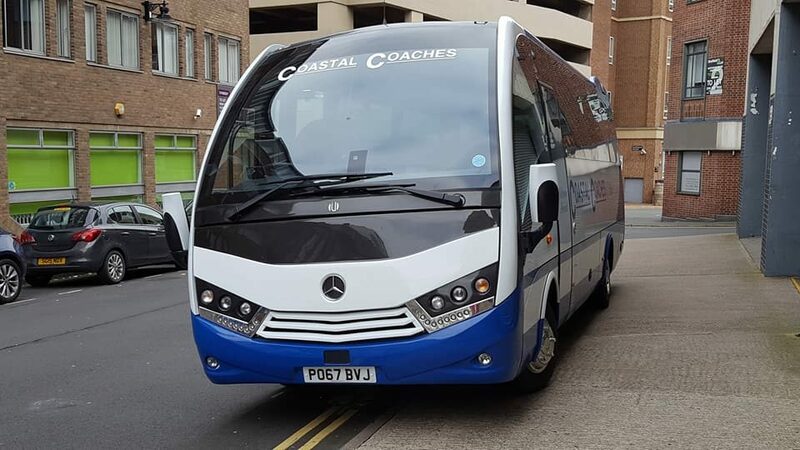 Both of our new 2017 coaches are available for immediate hire for private hire, school or corporate work so get in touch today and we at Coastal Coaches will be sure to show you why customers keep returning.